Euan Thomson, PhD, global R&D head for Johnson & Johnson's DePuy Synthes business, believes that it has developed a platform for a solid digital strategy, centered around brand-based technology solutions. It draws in robotics, imaging and digital education systems, as well as products and services that interact directly with patients. Thomson spoke to In Vivo about the company’s plans. Q: In Vivo: In digital health care, the picture is becoming clearer and the needs better defined. While some companies set their stalls out early, others adopted a watch and wait policy. It seems DePuy Synthes is in the latter camp. A: Euan Thomson: In an environment focused on technology solutions such as robotics, we are targeting the use of technology to drive outcomes. This includes robotics, and the company’s February 2018 acquisition of Orthotaxy SAS, a privately-held developer of software-enabled surgery technologies, including a differentiated robotic-assisted surgery solution, fits in here. But our vision is much broader than that. Orthopedics is a mature field, and while companies have been investing in this space for many years, there are still gaps and potential for improvement in outcomes. In back surgery, for example, we still see cases of 20-40% failure rates. Also, 20% of patients are still dissatisfied with their total knee replacements, and we know that outcomes vary among centers, both in terms of productivity and clinical outcomes: surgeons who perform greater numbers of a given surgery tend to lean towards better outcomes. Our analysis shows that what drives outcomes is more than just the technology, implants and instrumentation. So we use the need to drive outcomes as a starting point. Q: What drives those outcomes in the orthopedic arena, seen from DePuy Synthes' angle? A: We think there are three pools of activity that drive outcomes. The first is certainly technology, and as a company we always aim for the best possible implant quality and instrumentation. Surgical techniques also make a difference. And then the patients themselves can make a difference. Patients can influence outcomes from the point of patient selection and patient preparedness, in areas such as body mass index (BMI) and lifestyle habits (smoking, alcohol consumption), which can also influence time to recovery. Our feeling is that all three pools of activity must be addressed. So taking a step back, we think that the role of robotic technology is to support the two areas that are not addressed by the implant and instrumentation technologies. Firstly, it is an attempt across the board to address human factors relating to surgical techniques. Robots are there to improve the manual dexterity of the surgeon and move towards more consistent and potentially better outcomes. And secondly, we've designed what we call Digital Surgery, for the entire continuum of care, which both includes and goes beyond robotics to monitor patients, help physicians with pre-surgery patient assessments, and guide patients through rehab. And outside the operating room, there are other technologies that can help maintain optimum standards of care during the operative procedure, which include surgery standardization technologies like that of the SPI (Surgical Process Institute), as an example. Q: The purchase of SPI predated Orthotaxy. How does it fit into the plan? A: SPI provides a digital checklist that guides not just the surgeon but the whole team through surgical procedures. Surgeons who use the same OR team consistently tend to achieve better outcomes – regardless of who is on the team. By doing the right thing at the right time, they are supporting the surgeon who is thus also able to do the right thing at the right time, meaning that efficiency and clinical outcomes will be optimized. And it supports our strategic vision, which is not simply to chase the latest and brightest technologies, but rather to use technology to drive, improve and optimize outcomes. Q: At what point did DePuy Synthes fully adopt the outcomes and value-based approach to patient care, and what were the catalysts for that change in thinking? A: It's been an evolution, and the ideas have been solidifying over several years, but in the past year or so we've really rolled up our sleeves on this. I have two roles – leading R&D for DePuy Synthes and also co-leading R&D for all of Johnson & Johnson Medical Devices, particularly in digital technologies. Our R&D organization is setting up a dedicated digital technologies team to address all areas – this is the team that is building the Orthotaxy robotics system. We also have partnerships and internal builds in place to address patient monitoring – those individuals will co-ordinate that activity within and for SPI, and for other solutions such as C-SATS, a University of Washington spin-out that uses technology to facilitate performance reviews for surgeons, which we acquired recently. That company does a review of video gathered in the OR, for educational purposes. They segment it into stages, crowd source a review of each video segment and give feedback to the surgeon on differences in what's observed in the videos compared with standard-of-care type videos. They have started with laparoscopy. The idea is that feedback is used by the surgeon as learning as they go along. It's part of the same digital and robotics initiative, which has all come together within the last 12 months. Q: Some orthopedics stakeholders view robotics as cumbersome and not fast enough, but now that DePuy Synthes’ strategy is coming together, how is Orthotaxy different? A: We took our time looking at robotics. 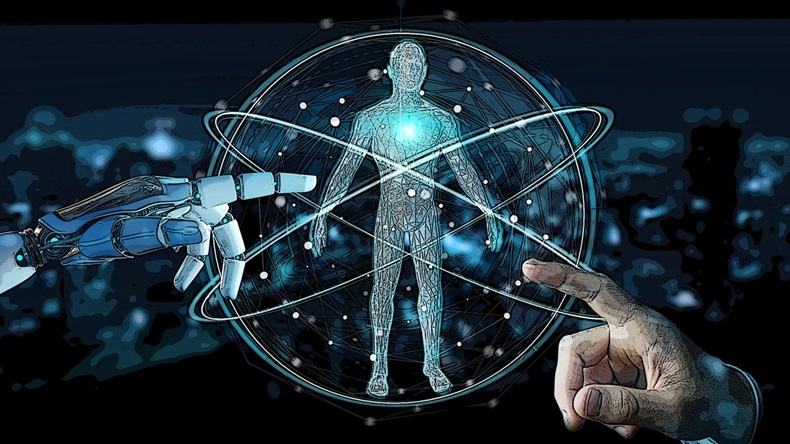 It's a field where it is arguably very easy to succeed – robots appeal to patients' needs and very often, robotics are acquired on the back of a tick-box mentality. They are marketed to the outside world as guaranteeing improvement of procedure quality. I'm not convinced by that. What we were looking for in robotics was something that really would move the needle in terms of outcomes, without interrupting workflow or adding to the complexity of a procedure. We see large, cumbersome systems in the million-dollar range that have to be wheeled in the OR for each procedure, get in the surgeon's way and very often require support from a dedicated team to enable the surgeon to operate it. We didn't want to go in that direction. When we found the Orthotaxy system, we believe we saw a very different type of robot – a platform, rather than a system. (Also see "J&J Adds To Robotic Focus With French Firm Acquisition " - Medtech Insight, 22 Feb, 2018.) It is a small, almost portable system that can be lifted by the surgeon, maneuvred into position and held there with a support arm. It has a navigation component, which refreshes images 300 times a second and automatically adjusts position to compensate for motions by the surgeon or the patient. The concept can be applied to different techniques: in the field of total knee replacement, the end effector is a guide system that is continually adjusting the guide block, with the surgeon remaining in control and using the saw through the guide block. The surgeon is doing the cut, but the accuracy is being controlled by the robotic alignment assisted by the continuously updating Orthotaxy system. In spine procedures, the saw guide block would be replaced with a drill guide component – the system refreshed in the same way for, say pedicle screws, to continuously guide alignment. It's a modular concept. It doesn't get in the way of work flows. We’ve found it easy to use, intuitive and extremely accurate. This is what we feel is the future. 'We believe this is a unique platform, and that when we bring it to market it will significantly disrupt the existing robotics platforms. Q: Is keeping the surgeon in control of the orthopedic procedure, rather than being led by the robotic technology, a key element of the DePuy Synthes offering? A: This is a total orthopedics platform. The difference between this and other platforms is that the technology doesn't dominate the whole procedure, so you're not doing a robotic procedure, but a procedure that includes robotics. There could be segments of any procedure – hip, shoulder etc. – that would incorporate robotics. But the capabilities of the easy to move around, versatile and modular technology from Orthotaxy give it huge potential. One of our guiding principles is that surgeons should have their own workflow, and the robot should fit into that. We believe that procedures incorporating the Orthotaxy system will be faster than others. I don't think any other systems can make that claim. We also believe that this is a unique platform, and that when we bring it to market, it will significantly disrupt the existing robotics platforms. So our vision for implementation is that robotics is one piece of the answer. We're aiming for a 2020 "market ready" for this technology, for one or more procedures, which is pretty ambitious, but we feel achievable. By the time we get there, we want to have operating rooms ready to receive it and for other digital technologies that we already have – like SPI – to also be in place. SPI has already defined a procedure to ensure the team uses the robotic platform in the optimum way. Q: What are the remaining parts of the puzzle DePuy Synthes needs to complete a holistic digital orthopedic offering in the operating room? A: We have big initiatives around patient engagement and monitoring. Patients are strong influencers on outcomes. Most of the outcome measures we use today are surgical outcome measures that the surgeons can visualize from the data presented to them. But there is a broader vision that includes the patient perception of outcome. Patients are looking for 'human things' – day-to-day functions like being able to move without discomfort. These are elements that drive outcomes in their minds, not parameters such as radiographic healing. Today, the industry is only very loosely connected with that, and there is room for improvement there. Orthopedics is about mobility, and mobility determines lifestyle. We have to get inside mobility and lifestyle to understand the success or failure of a procedure from a patient's perspective. And also to think about real-world outcomes as they are viewed by patients. Our initiative to find ways of quantifying and monitoring such things is at an early stage, but we can use the existing connected digital platform, Johnson & Johnson Health Partner [currently available in the US], which taps into patients' motivations and their underlying drive to get and stay healthy as they recover from knee, hip or weight loss surgery. Or help them prepare physically, mentally and emotionally for surgery and their customized, real-time care that becomes personalized over time. This in turn helps us gather information about outcomes, and we aim to supplement it by using automated ways of assessing lifestyle and motion. A: In EMEA, as part of the CareAdvantage value-based approach, the company offers the Care4Today patient pathway solution (Also see "The Tailor Will See You Now – J&J's EMEA VP Explains Total Care Partnership For Hospital Systems" - In Vivo, 19 Feb, 2018.). This includes the Orthopaedic Program that provides hospitals and patients with resources to ensure consistent, coordinated care while supporting patients to take control of their own treatment and recovery. Patients, for the most part, want to do the right thing; where we can make a difference is in acknowledging that the 'right thing' tends to be personalized, rather than generic. For example, helping them to understand the fundamental importance of adhering to their post-surgery rehabilitation protocol can really make a difference in terms of outcomes. Q: The role as a provider of technology has changed and companies like DePuy Synthes are now offering more of a package of services. A: That's what we're moving towards. All the basic elements are in place today: this is no pipe dream or future vision, as we already have a continuum and are now working on enhancing that. We have Health Partner for monitoring patients (set up for the US in November 2017), Care4Today, used by the European team, and a software planning system that can calculate the optimum cutting angle for a knee replacement. We have SPI for guiding the team and organizing the workflow, to ensure efficient and effective team flow during the procedure itself, and post care monitoring. We believe Orthotaxy will be a game-changer, as we believe it is a truly different concept in that it is a modular system that integrates itself with the workflow and maintains and improves the quality of the procedure. We're focused on orthopedics, but this digital surgery concept applies to all surgery in different ways. Outcomes and the broad-based approach is what is guiding DePuy Synthes right now. But looking forward five to 10 years, we will be integrated much more into the Internet of Things (IoT) world, and the sensing of patients' lifestyles becomes more based on passive sensors that we use in our everyday life, as opposed to active sensors, like apps and wearables. Many household items will ultimately be a sensor of some sort, observing behaviors and piecing together information that can help build a picture of a person's well-being, diet, work patterns, exercise routines, and, in fact, all things that have an impact on health care. That will help us understand what makes the difference in terms of outcomes, over time, and across all surgeries. In the OR, other technologies will come to bear, even though we are not convinced that they are ready to be used for anything other than education yet. Virtual reality and augmented reality will find their way into the OR, but there are a number of steps needed before they can safely add value. Q: On the theme of value, can you define what value digital and robotic offerings like yours will bring to providers? A: SPI has evidence to show that its technology significantly reduces OR times and can increase the capacity of the OR, which is clearly a driver in the public and private sectors, simply by making sure that the right equipment is in the room before the procedure starts. And the OR team follows an optimized workflow. It's a system that provides a learning tool: as the team goes through each step of the procedure, it can be analyzed to see where optimization is both possible and needed. This system sits on the same data platform as another system that monitors patients and tracks how fast each patient returns to full mobility, and there is the ability to link the two. It is the beginnings of a vast data platform across all procedures, and that's where the new insights, AI and machine learning come into play, as we transition from effective monitoring and analysis into an environment where we can give more real-time guidance about procedures. Q: Will non-digital technologies also be able to play into this environment? A: We now have a relentless focus on automation and bringing technologies to health care systems that add value, and are not just marketing tools. The ME1000 Surgical Impacter [currently only available in the US, and later in other countries] that we recently acquired from Medical Enterprises Distribution is a classic example of a great technology that automates steps in joint replacement and aims to aims to increase efficiency and accuracy while reducing surgeon fatigue. There is potential to combine the ME1000 and robotic technologies that could reduce the time for performing some surgical procedures by up to 30%, clearly adding value to both the patient and our healthcare customers. As Johnson & Johnson is the largest health care group in the world, we have access to a huge network of clinics. In this era of intelligent solutions and data gathering, we find ourselves in a strong position and able to differentiate ourselves from any of our competitors. In my mind, it’s time-to-data, which means time-to-insight. It is important for us to keep focused, get these technologies to market, and make sure we bring them together in an intelligent way so that they optimize care. It we do that, we'll be in an almost unassailable position. Q: It seems that DePuy Synthes has found the angle it wishes to exploit in the digitally-enabled and robotic OR spaces of the future. A: We've identified our role and strategy in the digital space, and our strategy is well evolved. Our robotics fit into the digitization of the surgical process. But there are always ways of improving, as technology evolves. Looking to Verb Surgical, its value is that it cuts across all J&J's medical devices. (Also see "Exec Chat: How Verb Surgical Will Deliver On Surgery 4.0" - Medtech Insight, 14 Nov, 2017.) It has made significant progress over recent years, and our job is to make sure we can synchronize it with other tools like C-SATS, SPI and our broader surgical vision. So, when we bring a best-in-class surgical robot to the market, it's in a best-in-class system that optimizes outcomes. Right now, the priority is to communicate to the orthopedic market but our vision goes beyond robotics. For us, it's a relentless focus on outcomes, clinical benefit and optimizing value for patients. To underline what drives our strategy, our technologies today are a platform in which robotics fit. Our ambition is to explain that to the world, and get partners to engage with us on that journey. We've had some strong responses so far.